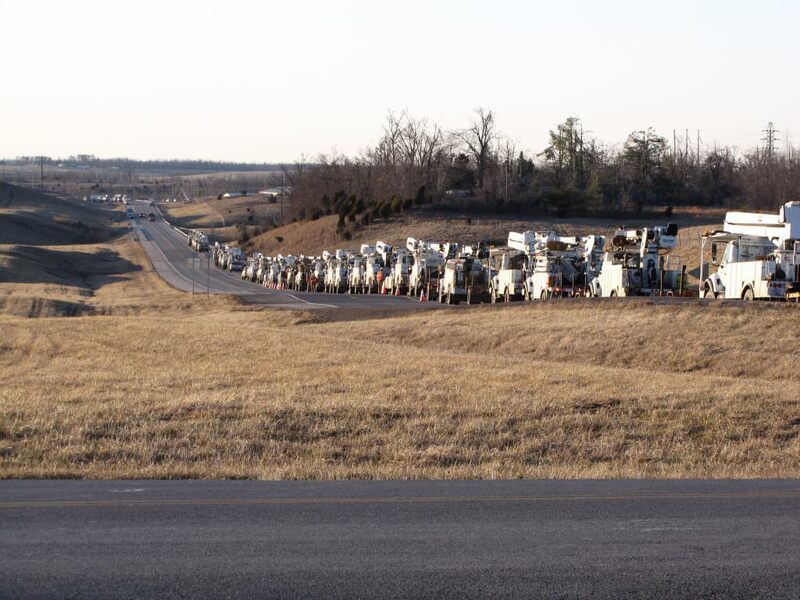 Storm restoration is a critical part of our service to our customers. 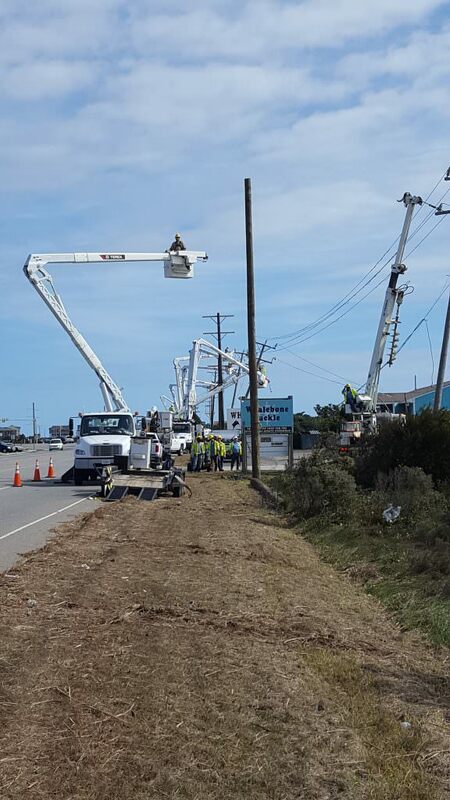 Our crews work around the clock to promptly get the power restored due to loss during snow storms, ice storms, hurricanes, tornadoes, or any other natural or man-made disaster that occurs. Our emergency response area covers the entire eastern coast and as far west as Texas. We are able to use our resources to rebuild electrical systems that have been completely torn apart. Our crews are ready, willing, and able to proceed to any destination when major storms approach. We constantly review our safety and emergency procedures to remain in a state of readiness. We pride ourselves on keeping our fleet fully operational so that we can respond at a moment’s notice. Our fleet includes numerous pieces of flex mounted digger derricks and buckets capable of assisting on distribution and transmission needs. Other specialty equipment used for emergency response are drones that can help visualize or identify problem areas of power grids quickly and safely.